Home > Blog > Spray Foam Equipment > Are You Receiving the Best Possible Service? If you are a SPF professional contractor, we believe there are some important questions you should consider when determining whether you are receiving the best customer service from your spray foam equipment provider. 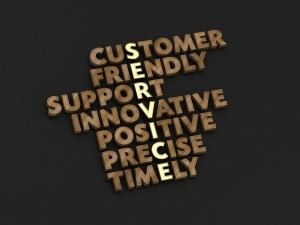 For example, ask yourself: Does your equipment provider offer same-day or next-day customer service? Many equipment providers today sell parts, but the truth is that they don’t always have the expert knowledge and service to back up their sales pitch. At Intech, we offer same-day and next-day service, as well as troubleshooting – either in person or via phone, across three time zones. With our easily accessible team of experts, there’s no red tape to navigate through. Our customer service reps can effectively and efficiently walk you through a repair over the phone the same day. And should your issue require in-person assistance, we also send technicians out to your location within one day. Let’s say you buy a part from a big distributor – because it costs less – and that part doesn’t fit or it breaks. In many situations with other providers, it could take days to get a phone call back, if at all. At Intech Equipment and Supply, our approach is much different. If your equipment breaks down, an Intech rep is often located within just a few hours of your location, and can be there to help with technical service and support either that very same day, or the next day. In fact, our support team recently received a frantic call from exasperated contractors working on a job site in Greenville, NC late afternoon on a Friday. Unfortunately, their mobile rig was down and they simply couldn’t figure out the problem. At the same time, they were expected to have this extremely important job completed within the following 48 hours (by Monday). Thanks to Intech’s easily accessible customer service team, we were able to send a highly skilled technician from one of our next closest locations (in this case, Georgia) to get these frustrated contractors back up and running the very next day. Within less than 24 hours, these workers were able to start spraying again – and throughout the rest of that weekend – resulting in their completion of the project on time and within budget. This new guide highlights how the best kind of customer support goes the extra mile, encompassing everything that can help maximize the after-sales experience—from parts, such as a spray foam r valve and parts delivery to service and training, and maintenance and repair.